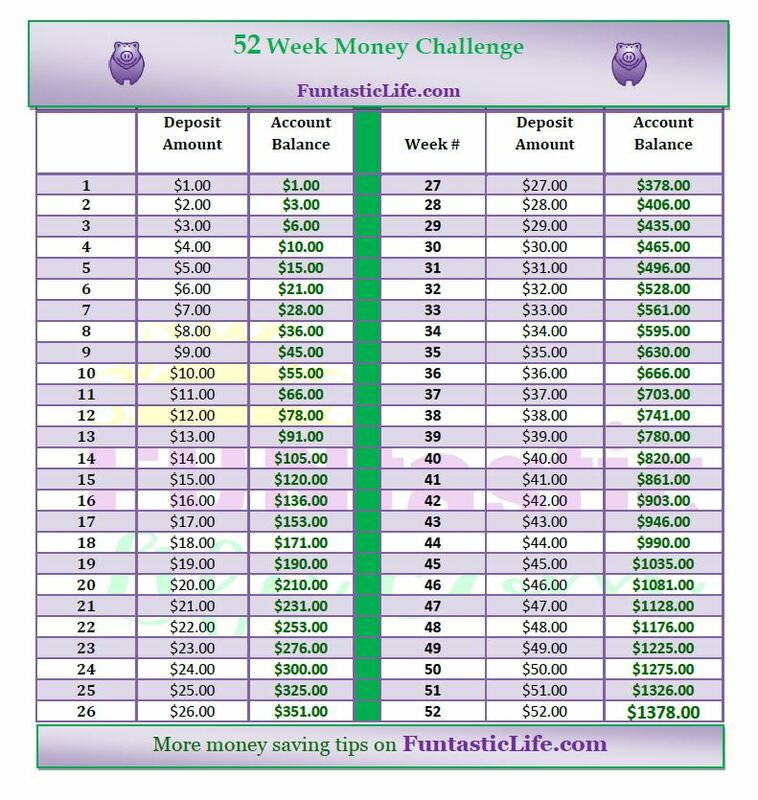 Here's a really simple savings plan that anyone should be able to do and end up with $1,378 by the end of the year. It starts with saving just $1 the first week. The next week, save $2. The third week, save $3...and so on. While these are tiny amounts, as the chart below shows, they add up to a big difference. It'll be gratifying to see your savings grow each week. For even more savings, do it in reverse. 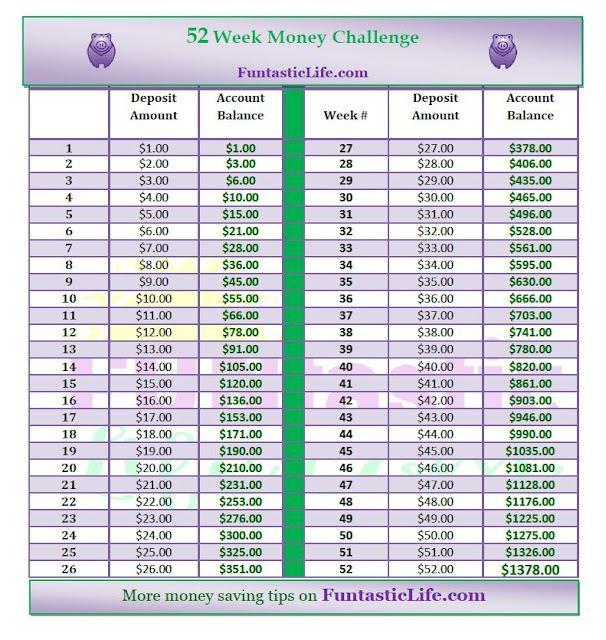 Start with week 52 and go backwards, so you can take advantage of greater compounding in your savings account. To be more successful you could set up a semimonthly transfer to your savings account. So what are you waiting for? Print you out a chart, catch up (we are only a few weeks into the year). Stay on course for the rest of the year and enjoy your $1, 378.00 reward in December!